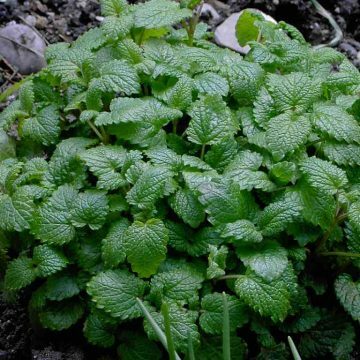 Melissa Officinalis, is a perennial member of the mint family whose leaves have a taste and scent comparable to lemon. For this reason, this species is commonly known as lemon balm, which is not to be confused with bee balm (monarda species), another member of the mint family. Lemon Balm grows well with monarda and salvia species and makes a good border plant. Growing to about two feet in height, this easy-to-grow perennial is used as a mosquito repellent. 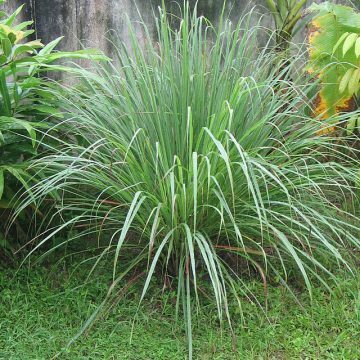 The crushed leases, when rubbed on the skin, will act like citronella. The plant blooms from June through October bringing bees into your garden that will pollinate plants. In late summer, the blooms are especially rich with nectar. The aromatic leaves are often used to make teas or extracts. 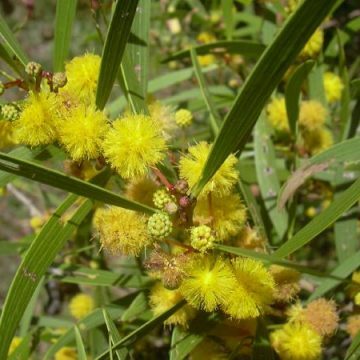 They are said to have both antiviral and antibacterial properties. 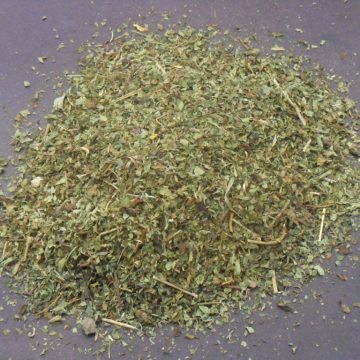 Fresh leaves, like other mints, are occasionally added to iced tea while dried leaves are often used alone to make a hot tea that is said to have very effective sedative properties. 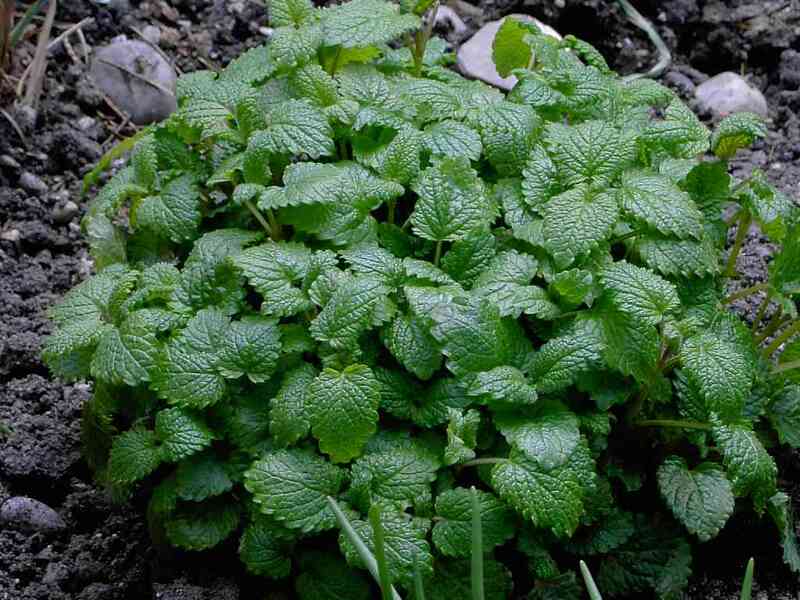 Additionally, lemon balm is used as a flavoring and a potpourri while its essential oil is employed in aromatherapy. Growing Information: Sow your seeds indoors four weeks before the last frost or sow in a cold frame to get an early start. Due to the small size of the seedlings, they can be slow to start, so this will give them an advantage. Do not cover the seeds with soil, and make sure it remains evenly moist. This species is hardy in zones 3-9. It can be grown in almost any soil, but does best in deep soils with a PH between 4.5 and 7.8. It is drought tolerant, but will do best when water is steadily available. 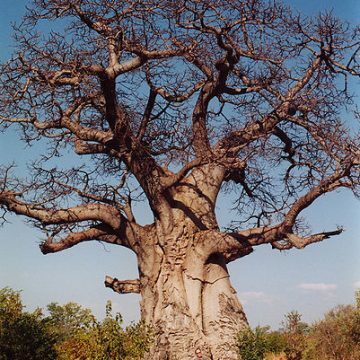 It prefers full sun, but should be grown in partial shade in hot climates. 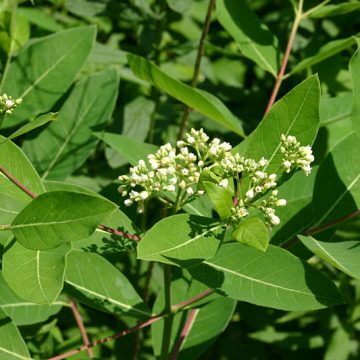 Once established, this plant can be propagated by cuttings. After about three years of growth, it can be propagated through root division as well.